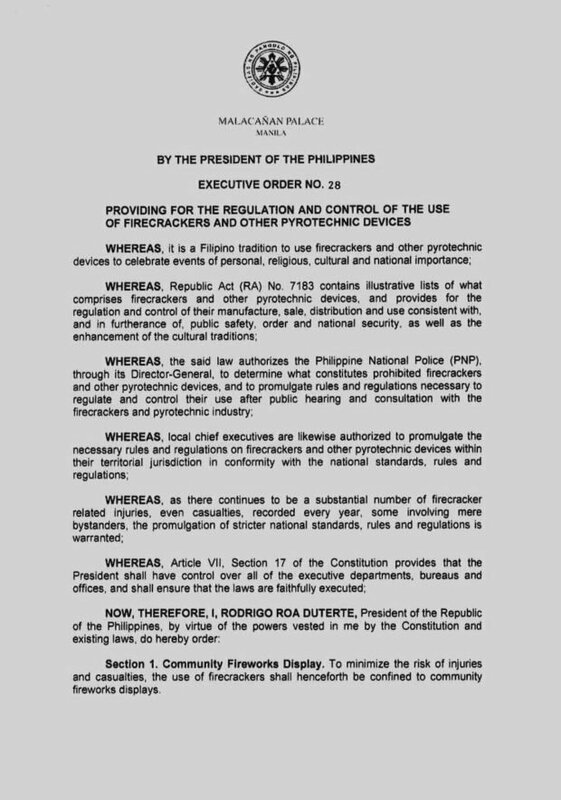 President Rodrigo Duterte has signed an executive order limiting the use of firecrackers in the country. "[There] continues to be a substantial number of firecracker related injuries, even casualties, recorded every year, some involving bystanders," the EO reads. 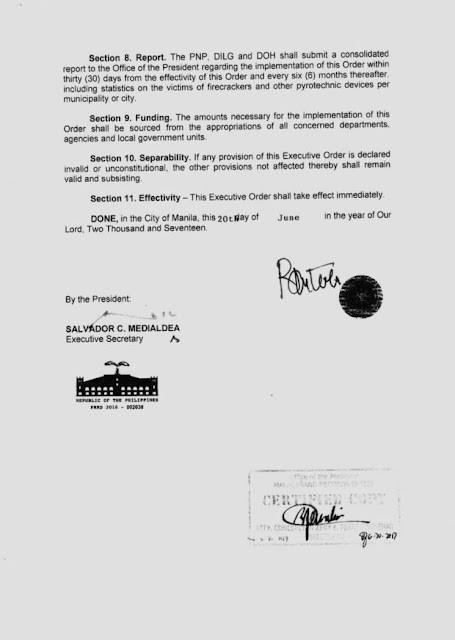 The EO said that because of the firecracker related injuries and deaths, "the promulgation of stricter national standards, rules and regulations is warranted." 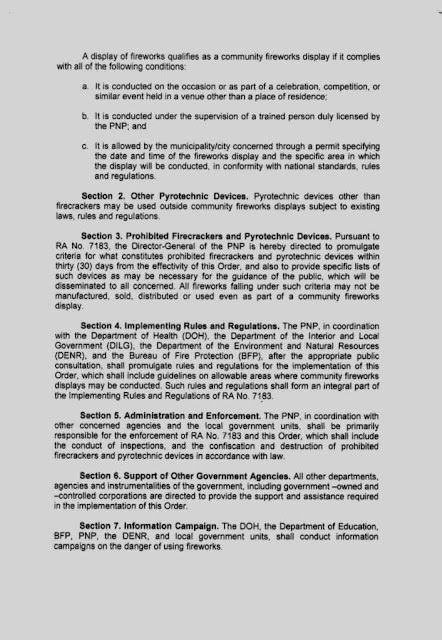 According to the EO, a community fireworks display is "conducted under the supervision of a trained person duly licensed by the Philippine National Police." 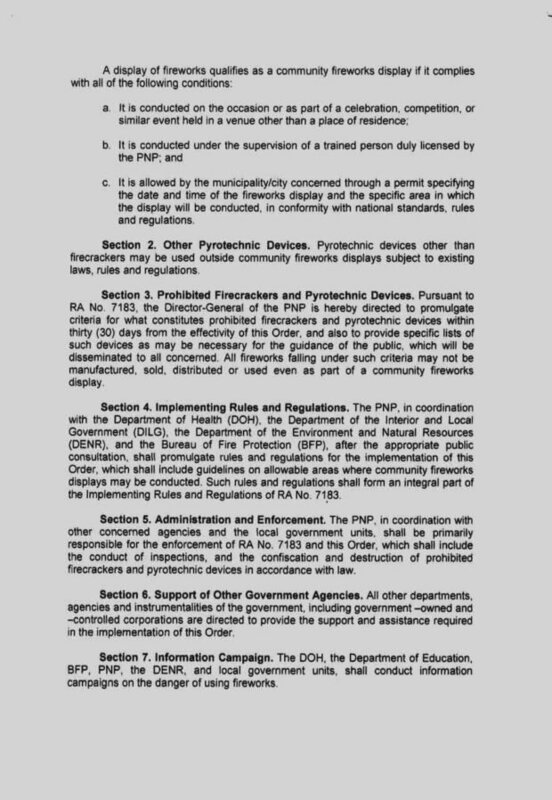 The PNP, Department of Health, Department of the Interior and Local Government, Department of Environment and Natural Resources, Bureau of Fire Protection were also mandated to promulgate rules and regulations for the implementation of the EO and conduct information campaigns on the danger of using fireworks. 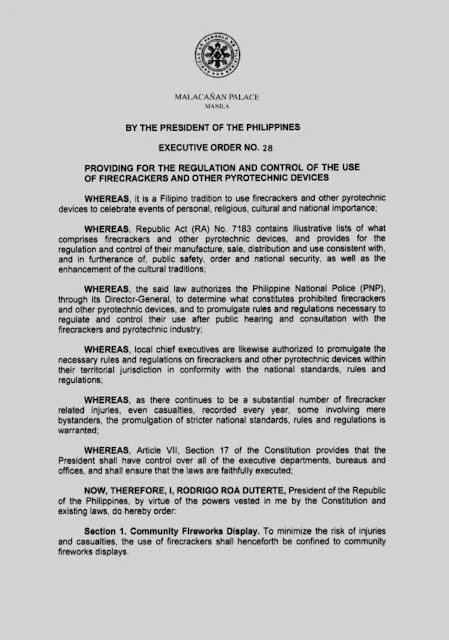 The DOH had been urging the President to sign the EO limiting the use of firecrackers even as the country reported lower injuries in the last New Year celebrations. The DOH recorded a total of 630 fireworks-related injuries and no death during the 2017 revelries. This number is 292 cases or 32 percent lower than last year’s count. This also beats the country’s record-low of 720 cases in 2008. 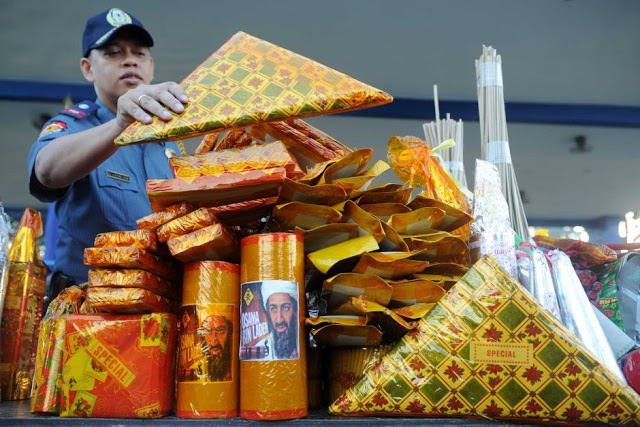 Among the culprits were prohibited firecrackers such as piccolo and five-star, which caused 192 injuries (31 percent), and 32 cases (5 percent), respectively.